Xavier, from Bridging to the Future in the UK, set off to Brussels on the 28th March to discuss the role of the European Commission and social entrepreneurs have in developing a social economy. This grand occasion was titled “Gathering to grow”. After accidentally finding himself in a seminar on cyber-security, Xavier found his way across the confusing European Parliament to the event he had been invited to, and where he felt a lot more at home. The aim of this event went two ways. Firstly, it served as a showcase for successful social enterprises that integrated migrants and refugees. Excellent talks were given by ‘Capital Digital’, a Belgian social enterprise that trains disadvantaged individuals in programming, and ‘Association Aurore’, a French nation-wide foundation with welcome centres for refugees. These two organisations, while taking very distinct approaches, highlighted the role that social enterprises in social integration, and eventually enrich our society. Later, a second panel came in to discuss the conclusions on how the EU can develop its support in the social economy. The findings were set out by a group of external experts in the social economy hand picked by the European Commission. Their report highlighted four areas of support that the EU must provide: Increasing the visibility and understanding of social enterprises; Helping social enterprises access finance; Improve the legal framework; Drive Economic Growth. 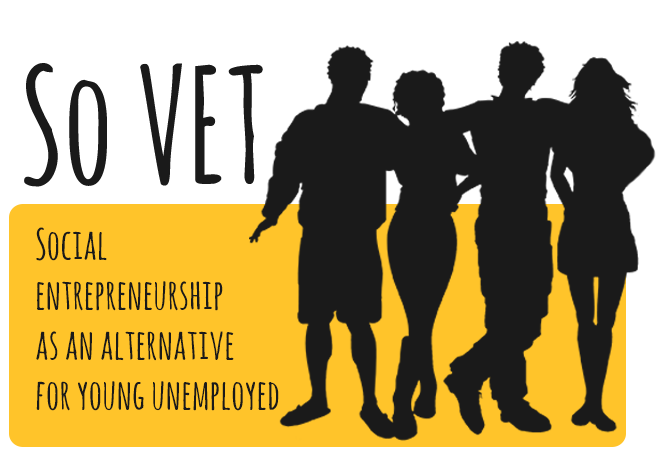 The So-VET team hope that this support will be provided by practical actions and that social enterprises or any individual will have access to this. This is also our responsibility, however. Within the So-VET project we must be active in improving the environment for a social economy. We are doing this by several ways, putting us at the forefront of this initiative. The first step is that we are educating people about social entrepreneurship and the added value it brings to a society. By improving the entrepreneurial skills of students, we are building their managerial capacity to create sustainable social enterprises. Our approach in this project also has its fruits. We are a European-wide coalition of organisations involved on the street, where we share best practices in the field and learn from each other’s experience. A practical approach will help drive Europe into a more inclusive and social economy.